Suzi has worked in the travel industry for over 20 years. She has worked in many areas of the travel industry including the Jordanian airport, corporate travel and leisure travel. Suzi is bi-lingual; speaking, writing and reading the Arabic language. She specializes in escorting small groups to exciting destinations like Europe, Egypt and Peru. Suzi and her team focus on customer service and making sure Travel Haus clients are well taken care of. She enjoys planning travel for individuals and groups. She also enjoys planning trips to Europe for honeymooners and families in general. Suzi traveled throughout Europe including England, France, Italy, Egypt, Lebanon, Prague, Barcelona, Greece and more. She has also traveled to the Bahamas, Hawaii, Alaska, St. Maarten, Jamaica, Aruba, St. Lucia, Mexico and throughout the continental US. She has sailed on Royal Caribbean Cruise Lines, Holland America, Celebrity, Disney Cruise Lines and Norwegian Cruise Lines as well as sailing on Viking and Avalon river cruises. Suzi lives with her husband, Ed and 2 children, Aya and Adam. Suzi is very active in the local Souderton-Telford Rotary and was given the President's Choice Award for her outstanding service to the organization in 2013-2014. Within the club she is chairwoman of the Rotary Foundation and the Annual Christmas Party for the Boys & Girls Clubs of North Penn and the Indian Valley. She is currently serving as the club's President for the 2018-2019 year. Suzi's hours at Travel Haus are Monday, Wednesday & Friday from 9:00AM-3:00PM. Liza has worked in the travel industry for over 20 years. Liza has worked in many areas of the travel industry including corporate travel and the operations department of a large tour wholesaler. Her focus is now leisure travel and bringing her expertise and knowledge from her travel career to provide the best overall experience for her clients. Liza is also focused on providing outstanding professional and friendly customer service to each Travel Haus customer. 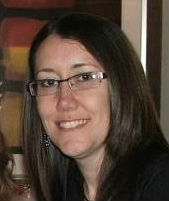 She enjoys planning travel for individuals, groups and destination weddings. Liza holds specialist designations as a Certified Travel Counselor (CTC), Accredited Cruise Counselor (ACC) and a Sandals/Beaches Specialist. She enjoys selling Disney and Disney Cruise Line and has been to Walt Disney World and on the Disney Cruise Line ships many times. She also enjoys selling cruises and planning custom European travel. Liza traveled throughout Europe including London, Paris, Rome, Prague, Budapest and Ireland. She has also traveled to the Bahamas, Hawaii, Alaska, St. Thomas, St. Maarten, Jamaica, Aruba, St. Lucia, Grand Cayman, Mexico and throughout the continental US. She has sailed on Princess Cruise Lines, Royal Caribbean Cruise Lines, Disney Cruise Lines and Norwegian Cruise Lines and has seen many ships with other cruise lines. Wendi has been with Travel Haus since 2015. She loves meeting new people and sending them on their dream vacations. With a background in education, Wendi loves the research aspect of the travel business and believes in the value of learning something new every day. She particularly loves cruising to the Caribbean which has given her the opportunity to experience the culture of 11 different islands so far. St. John, St. Maarten, and Roatan are her favorite snorkeling locations. Wendi loves to explore new places, especially the southwest and west coast with her husband. San Francisco, with its iconic Golden Gate Bridge, the mysterious Alcatraz, and the beautiful nearby Muir Woods, is a particular favorite. With the whole world at our doorstep, Wendi believes everyone should have a bucket list of beautiful places to see. When not planning trips, Wendi enjoys spending time with family and friends. Karen joined the Travel Haus team in 2018. Karen loves meeting people and exploring new places! The travel business seems like a natural way to combine both of these passions. Some of Karen's favorite destinations have come from her own first hand experiences... A special trip to Vancouver, British Columbia and Banff, Alberta, Canada allowed the family to experience the majestic Canadian Rockies and the beautiful turquoise waters of Lake Louise and Peyto Lake. Other favorite destination spots have been Hawaii, San Diego, Cancun, and Jamaica. Before joining the travel industry, Karen worked in the education field as a third grade teacher, Kindermusik teacher, and an assistant in the school Guidance Office. When not adding new destinations to her bucket list, Karen enjoys spending time with her family (almost annual beach vacations to Ocean City, NJ and Sarasota, FL are always enjoyed), as well as baking, singing, and photography.